As the annual session of National People's Congress comes to a close with politburo decisions ratified by its delegates, netizens are asked to choose between, among others, the Nobel Peace Prize laureate Liu Xiaobo, Taiwan's president, actor Jackie Chan and fallen Chongqing party boss Bo Xilai as the country's president. Beijing (AsiaNews) - With the annual session of the National People's Congress over, and the Great Hall of the People empty, many netizens were asked to take part in a mock election to pick another president for China out of a list of 30 candidates. Against all expectations, Nobel Peace Prize laureate Liu Xiaobo is ahead in the votes cast so far, even though he has been in prison for close to four years. For vote organiser Wen Yunchao, "Liu Xiaobo is still hugely influential in spite of having been in prison for several years". Wen's decision to hold a mock vote is meant to draw attention to China's lack of democracy under Party rule. The country's existing legislature, the National People's Congress, meets only one a year, and its main function is to ratify decisions already made by the Communist party and its internal bodies. Despite their reputation as reformers, China's new president and prime minister, Xi Jinping and Li Keqiang, have bowed to their predecessors and accepted their positions. In order to highlight the undemocratic nature of China's political system, Wen posted a mock vote online to find a president for the country. He also suggested the names of 30 candidates to choose from; they include Liu Xiaobo, Taiwanese President Ma Ying-jeou, Hong Kong actor Jackie Chan, blind activist Chen Guangcheng, and disgraced Chongqing party boss Bo Xilai. 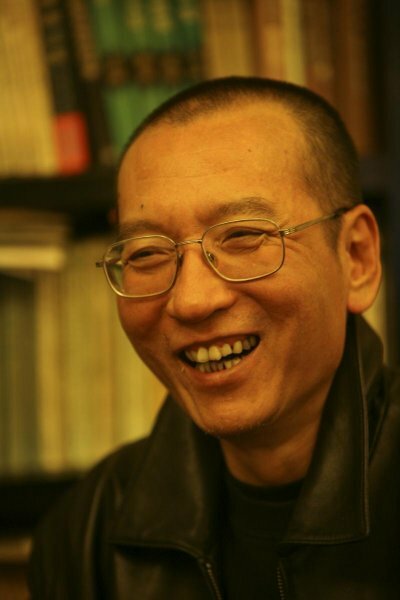 With the online poll not yet finished, some 6,000 people took the time to make their choice, with Liu Xiaobo leading the pack. For rights activist Hu Jia, China's actual change of leadership means little. "The new Party dynastic leader Xi Jinping was crowned recently, and put on an elaborate drama about listening to public opinion," Hu said. "However, it's just a modern re-run of The Emperor's New Clothes." Shortly after he spoke on Radio Free Asia, Hu was summoned by state security police and held for eight hours, beaten, and insulted, "a warning from the new government [. . .] to let everyone know how tough he [the new leader] is".